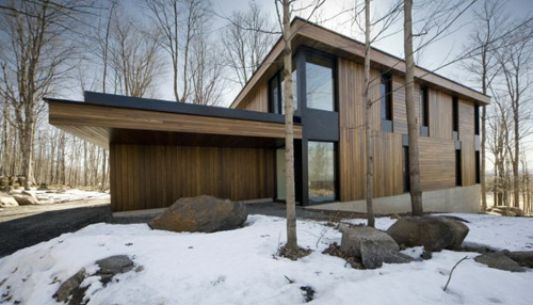 Exoticism of a house surrounded by lots of dry trees, houses with wood wall design and a beautiful wooden ceiling. 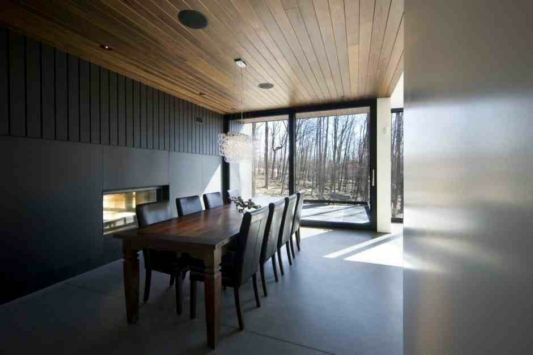 In harmony with nature using natural colors to decorate the interior of the house. 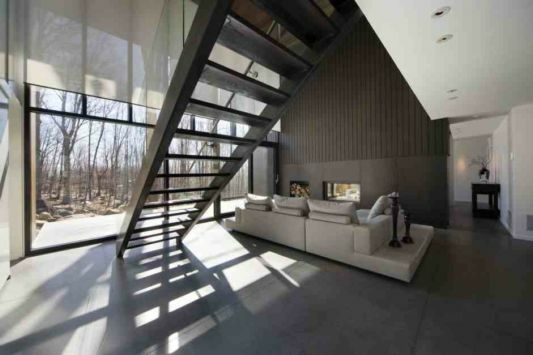 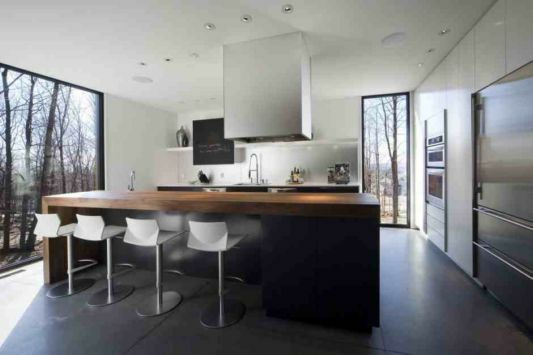 Houses with modern minimalist design is like shouting in the silent forest. 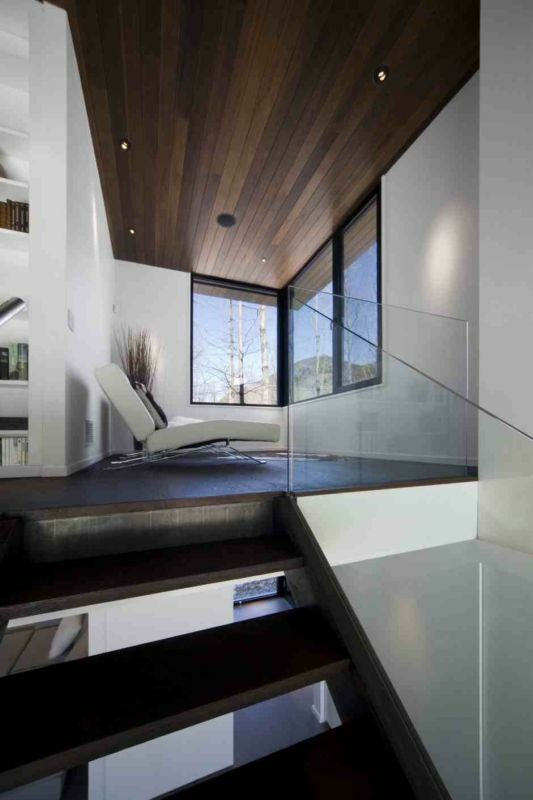 Her beauty-coated glass to look out the room size, interior design has been touched by any modern style. 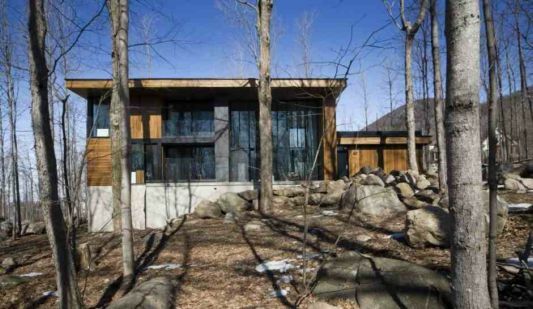 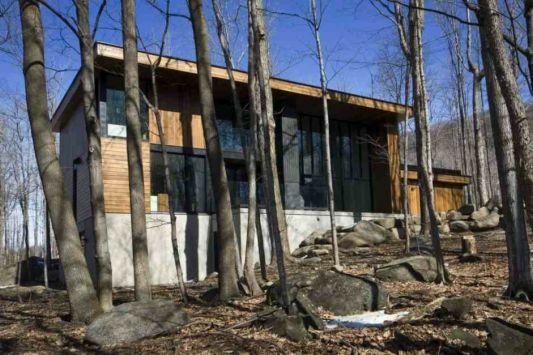 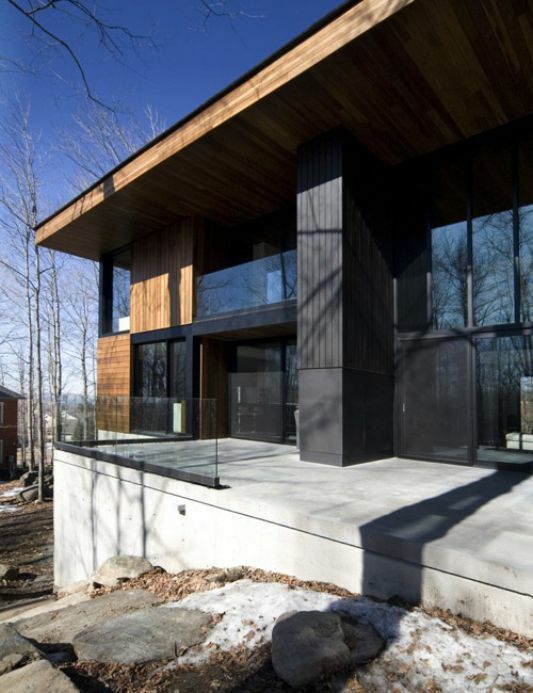 This house was designed by Blouin Tardif Architecture.